Before the democratic Kenya of today, there was first the period of colonial Kenya. From many centuries, the Arabs, Portuguese, British and German interests all vied for control over the region. Arab and Persian kingdoms have built colonies in Kenya from the 8th century on. For many centuries, they ruled over a large part of the area, right until the Portuguese entered the colonial game. From 1498, the famous Portuguese explorer Vasto da Gama landed with his ships in what is now Kenya. From 1515 the Portuguese started a full blown campaign to get all coastal cities in Kenya under their control. They built Fort Jesus in Mombasa as their main stronghold. But the Portuguese didn’t succeed in removing the Arabs all together. In 1698, the Arabs conquered Mombasa (with Fort Jesus) and in 1729 the Portuguese were driven from East Africa all together. The period of modern colonial Kenya started the late 1880s, when Germany formed a protectorate over coastal territory through an agreement with the Sultan of Zanzibar. Soon after Imperial Germany's acquisition of territory, the British also took an interest in the region in 1888. The British East Africa Company (BEAC) got a charter for more coastal territory as the area was becoming important for trade. With Germany and Britain vying for control, tensions rose until an agreement was reached in which Germany relinquished its coastal territory in exchange for the inland region of Tanganyika (part of what is now Tanzania). By 1895, the trade routes became less profitable for the BEAC, but that didn't dim Britain's interest in the territory. They established a direct protectorate, and removed the company from power. The intention was the settle the land, which was an important factor leading to an eventually independent Kenya. Thought the coast of colonial Kenya was valuable for trade, it was the fertile interior highlands that were of the greatest interest. To open up the area, a railway was built from Mombasa towards Lake Victoria. Indian workers were brought in for much of the railway's construction, and their descendants make up a large Indian and Sikh population still living in Kenya today. The progress of the railway was hindered by the Nandi tribe, whose land was being used. Many of the Nandi were removed from their lands, and relocated to reserves. This would be the first incidents of such hostile treatment of native Africans. When the railroad was complete in 1906, thousands of white European settlers came in to establish coffee, tobacco and tea plantations on land appropriated from the various African tribes in the highland area. The territory changed from being a protectorate, to a British crown colony in 1920 and the name was changed to Kenya Colony. It was named after the highest mountain in the region, Mount Kenya. In an attempt to balance out the treatment of Africans and settlers, the colonial Kenyan government issued a White Paper stating that African interests must be put ahead of those of the settlers. Unfortunately, very little concrete action was taken and the status quo remained in place. 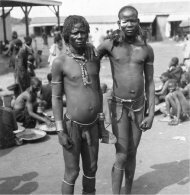 The favoritism shown for the white settlers eventually became a painful point for the local Africans, particularly the members of the large Kikuyu tribe. They were the tribe most directly effected by the unequal distribution of land. Initially, the first stages of rebellion came in the form of the Young Kikuyu Association, founded in 1921. They began to pressure the government and stage protests against their low wages, and other unfair racial policies. In 1944, the first African gained a seat on the colony government council, and that number slowly grew in the following years. Progress was too slow for most of the population, and tensions increased. The Mau Mau rebellion was launched in 1952, and lasted 8 years as rebels rose up against British rule. 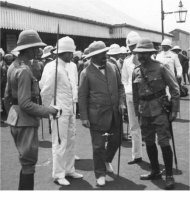 Though the uprising was not a direct success, it did lead to Britain giving more power to the Kenyans in order to prevent any future problems. Kenya declared independence on December 12, 1963. The first president of an independent Kenya was Jomo Kenyatta, leader of the Kenya African National Union (KANU). With independence, the history of a colonial Kenya comes to an end. The post-colonial nation eventually moved from a one-party government to true democratic republic with multi-party elections in 2002.